Our third year students studying on our Sound for Games and Apps degree course, were recently challenged to display their projects and organise an industry symposium event. 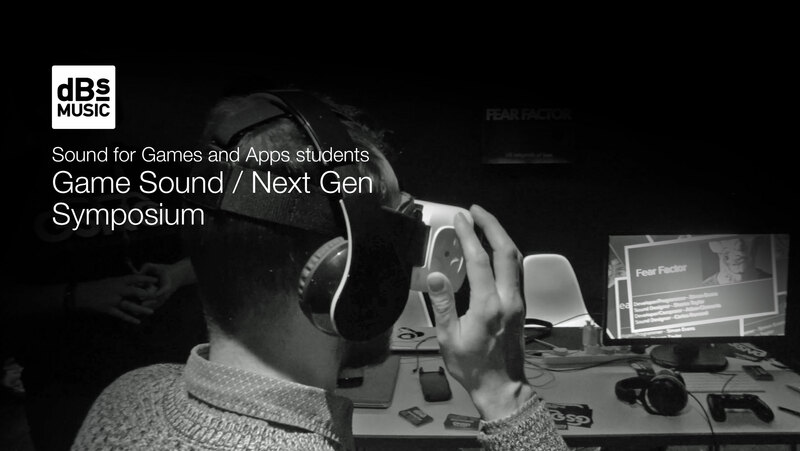 The students worked together and launched the Game Sound / Next Gen event, held at the Arnolfini in Bristol. Below you can see some video highlights from the event which was a huge success! Congratulations to all the students involved and thanks go out to everyone who attended to check out the work from dBs Music Bristol that is pushing the boundaries of audio with next generation work in web, games, VR, and more!